What materials do Golden Eagles use to build their nests? 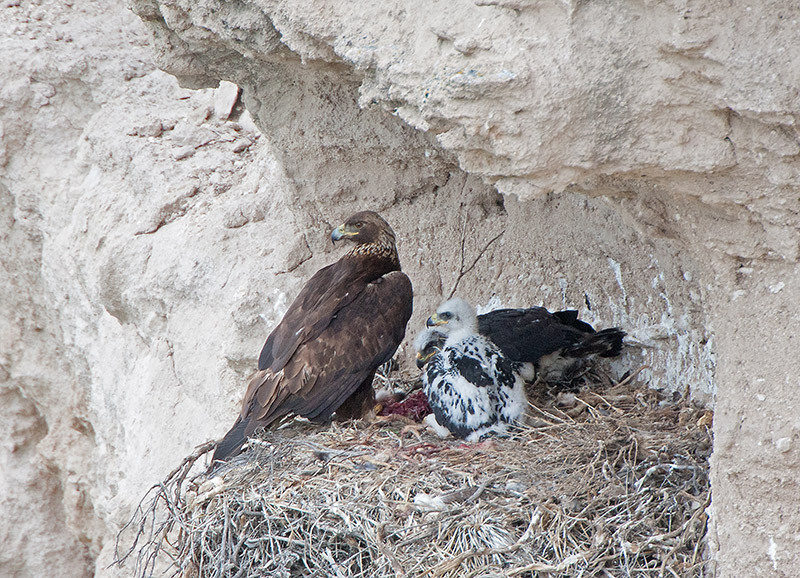 One to three months before egg laying begins, Golden Eagle pairs build nests using materials available to them. The outer shell is built with sticks, and lined with grasses and plants from the area. They might even bring in antlers or man made material while constructing the nest. They will often bring in aromatic leaves to freshen up the nest, or to possibly keep bugs away. Do Golden Eagles Return to the same nest year after year? A Golden Eagle pair will come back to the same nest year after year, enhancing and strengthening it each year. Sometimes a Golden Eagle pair will alternate between two nests, swapping out from one year to the next. 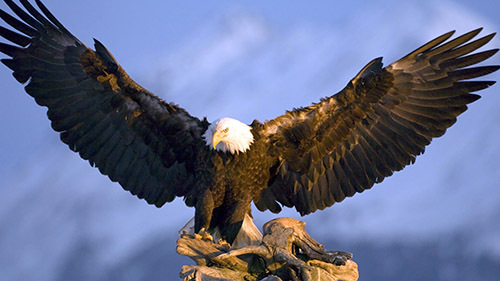 The nests of Golden Eagles are very large, and average between 5 – 6′ across and 2′ high. The largest Golden Eagle nest on record was 20 feet tall and 8 1/2 feet wide. Where do Golden Eagles Build their nests? Because Golden Eagles are found in so many continents, where they nest depends on where they live. Their nests can be in trees, but they can also be on the ground, on cliffs or steep escarpments, or they can take over a human-made structure such as a windmill, observation tower, nesting platform, and electrical transmission towers and repurpose it for a nest. Located several miles east of Sisters, Oregon, a cliff-side nest of Golden Eagles is streamed by the East Cascades Audubon Society when the eagles are present. When they have gone away for the season, the cams (and website) go down. Normally, the cams are active by March through the nesting season, and can be accessed at that time at www.goldeneaglecam.org. Any new information that will direct our viewers to a Golden Eagle Cam will be posted here. An article (March 2016) about the cam can be accessed here.